Did you know that we average 9 live interviews per month? We have interviewed a wide range of people. For example, visiting tourists, local renovators and builders, the Mayor, the shire's heritage advisor, police prosecutor, a linguist, small biz bus staff, RSPCA vet, Pedal Power riders tackling the Tour de Darling route- and recently the newly appointed federal minister for Indigenous Affairs, the Hon. Nigel Scullion (we even have a picture of the latter to prove we did it!). Many of our interviews are spontaneous- such as when we asked 3 members of the Rebel Motorcycle Club who were passing through Wilcannia after their annual ride to Western Australia. Interviews are also part of our regular broadcast schedule; for example, Maari Ma's dietician talks to us on Tuesday afternoons about healthy eating and cooking choices. WRRFM is a gift to community. 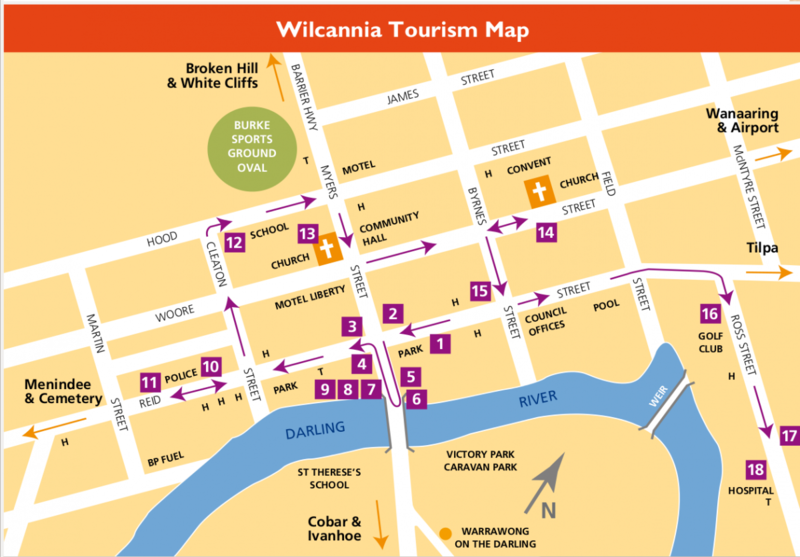 It is a communication tool which we would like more local groups and community agencies in Wilcannia to use. Research shows that radio is the most effective medium for reaching audiences, whether for relaying information or marketing. It does not cost anything to broadcast community notices of events, employment and training opportunities, birthday calls and cheerios, special occasions etc. We want community to use their community radio! Teacher Frances from the Central School has consistently attended the station with students to broadcast between 2.00-3.00pm every Wednesday. The School program has helped students learn how to operate the equipment for playing music, and various other phases of broadcasting. Their program started modestly based on musical choices made by the students and linked to particular themes of relevance to activities and values of the school. The School program is now expanding to include interviews- this week with teacher Craig describing his own educational journey, what inspires him and his role in language maintenance and teaching. Teacher Frances and her students have developed this program into a positive, rewarding experience for broadcasters and listeners alike. We would welcome other agencies in Wilcannia taking up this example and following suit! Why not drop in and talk to us about how your organisation can extend its outreach? You might also find that radio is a positive form of outreach! 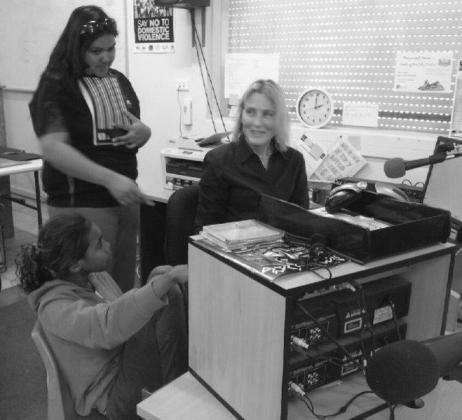 We are currently trialling on the hour news broadcasts through our sister community radio station- 2CUZ in Bourke. Have a listen and tell us what you think!